One fine Saturday mid morning, the family and I decided to take a drive down to Swan Valley for a good lunch. One of the places that we were keen to go back to was Elmar’s. Unfortunately, Elmar’s was closed for a function on the day and it will be re-opened to the public at 1.30 pm. As we were quite hungry, we decided to head next door to give Chesters Restaurant a try, since we could also use our Entertainment Gold Card there too! Take a step down memory lane and Chesters Restaurant was once a fruit drying shed which was used later as a functioning stable quarters for a local riding academy. During the early 1900’s, the Marri columns in the restaurant which sustains the roof were originally set into clay. All of the tables, cabinets and walls at Chesters were also handcrafted using original timbers. At Chesters, diners will be able experience a rustic, relaxed, warm and inviting atmosphere. 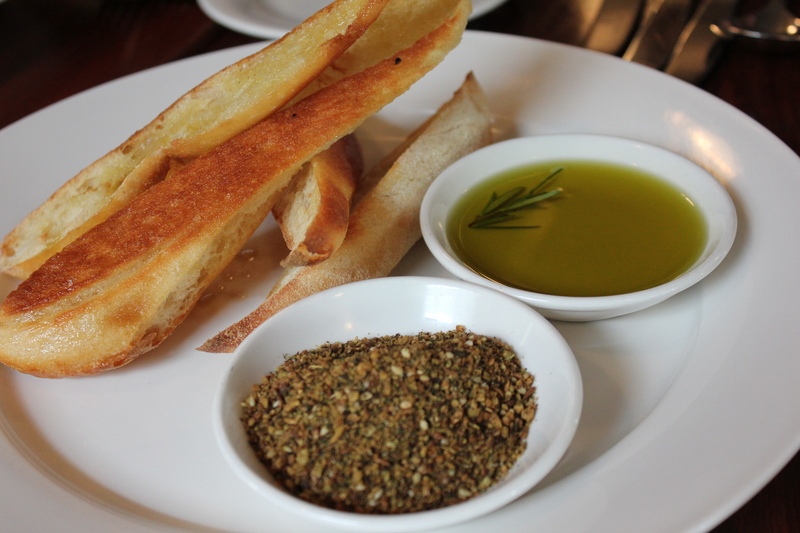 We started off with a Turkish Bread ($11.50) with a choice of house infused rosemary and garlic oil from Dandaragan Estate EVOO and House Made Dukkah. The Turkish Bread arrived warm and crisp around the sides, complementing the Dukkah and aromatic fragrance of the rosemary and garlic oil. We shared a Lamb Braise ($25) from the specials menu. 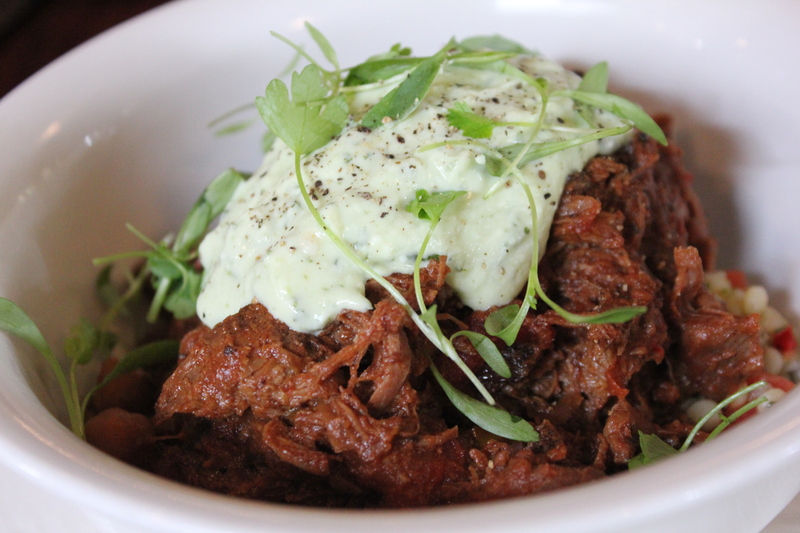 The Lamb Braise comprised of special Katanning lamb and chickpea braise, Israeli cous cous and coriander yoghurt. It was so hearty and full of flavour. 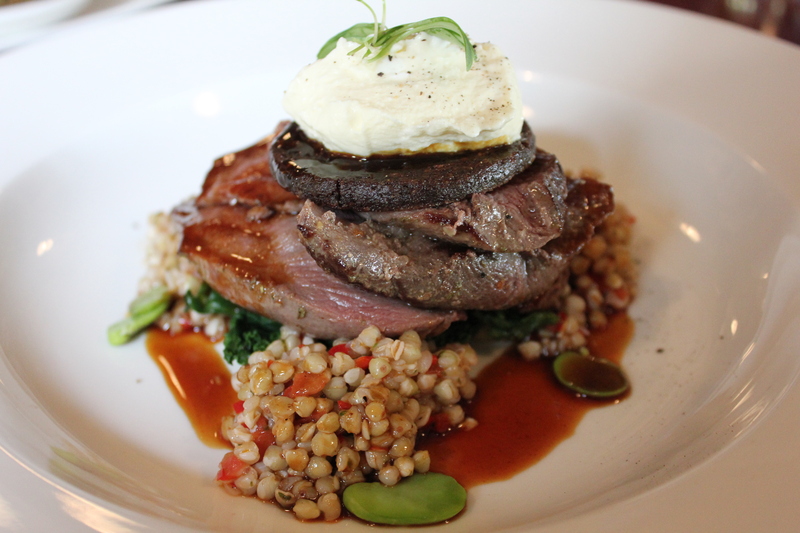 The lamb pieces and couscous had a soft and tender texture. The coriander yoghurt also gave a bit of acidity and a hint of freshness to the dish. I think that this dish would actually make a perfect winter’s dish too! I had the Venison ($40) which consists of round of venison served medium rare, sheep’s milk curd, wilted kale, broad beans, buckwheat, black pudding and Heafod Glen tawny reduction. The venison was cooked perfectly to medium rare – juicy and tender. It was a nice complement to the sweet Heafod Glen tawny reduction sauce. The flavours and the elements on the dish also marries well together, making it delicious. Overall, the dish was executed well with attention to detail. For dessert, we had a Banoffee Pie ($14.50) which consists of a banana & peanut banoffee pie, salted caramel sauce and chocolate peanut crumb. Oh my the Banoffee Pie was out-of-this-world amazing in terms of taste and presentation. It was sensational, sweet and melt in your mouth. 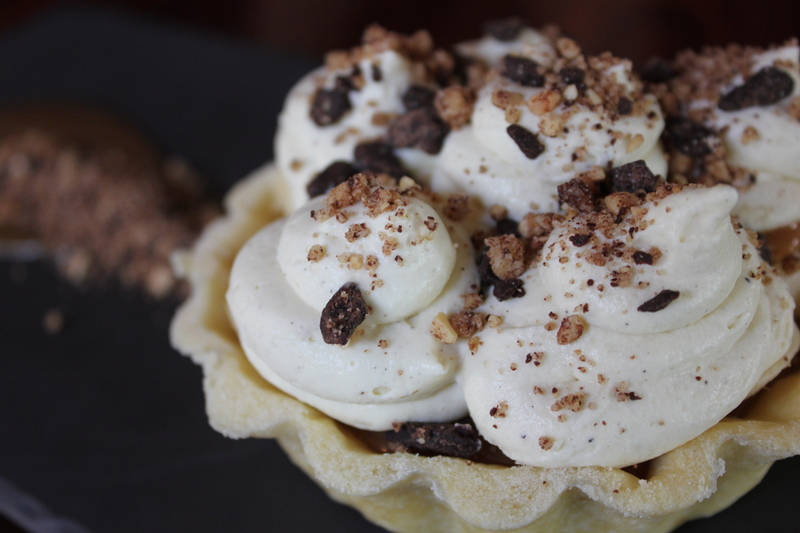 You will be taken to dessert heaven for sure!